The Fender® 2" Canvas and Chrome Guitar Strap is a true canvas work of art finished with contrast stitching. It's super-comfortable, fully adjustable and will wear-in perfectly for years of performance comfort. A heavy-duty chrome adjustment ties it all together. The strap features an exclusive "F" embossed end. 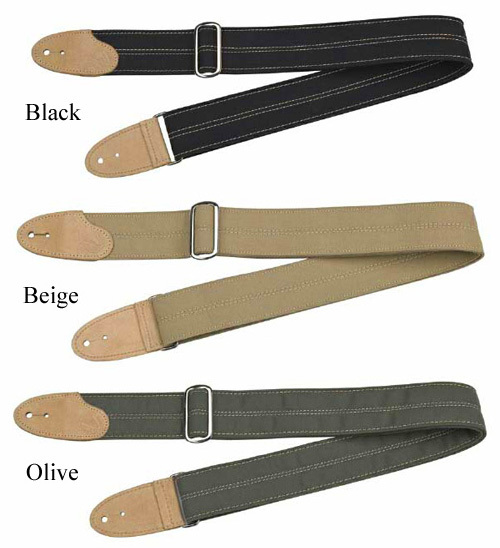 Your choice of either black, olive green or beige.